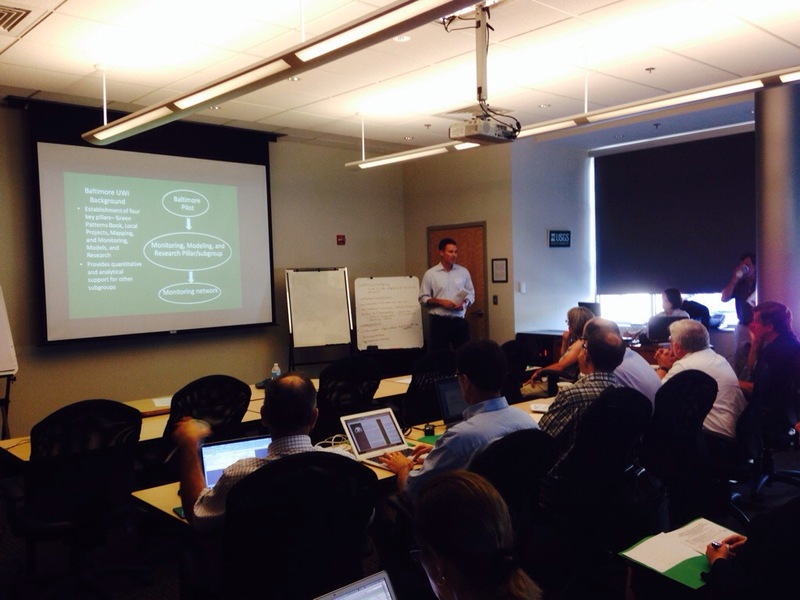 Yesterday we facilitated a meeting hosted by USGS on water quality monitoring in the Baltimore region. USGS is the leader in this activity. They realized that counties, the state, researchers, NGOs and federal agencies are all monitoring water quality at various locations and frequencies for various reasons. This led to the question: are there opportunities to collaborate to optimize the network? Department of Interior Deputy Assistant Secretary for Water and Science Tom Iseman addresses the group. The discussion included the need for a conceptual model of how and where water moves in urban areas, including in-water measurements of flows and concentrations in stormwater, sanitary sewers, groundwater, and streams. We also need to be able to separate data related to water, climate, and human influences including construction activity in the water and sewer system, changes in land cover, and changes in population to know cause-and-effect and how these factors influence each other. We thought we would be discussing whether we had too many, too few, or just the right number of water monitoring assets. Instead, the discussion focused on the need to integrate existing water monitoring data with other data to better identify relationships between observations and causes. Many thanks to USGS for supporting the Baltimore Urban Waters Partnership and for hosting this valuable workshop to help us better understand water movement, quantity and quality in urban areas. 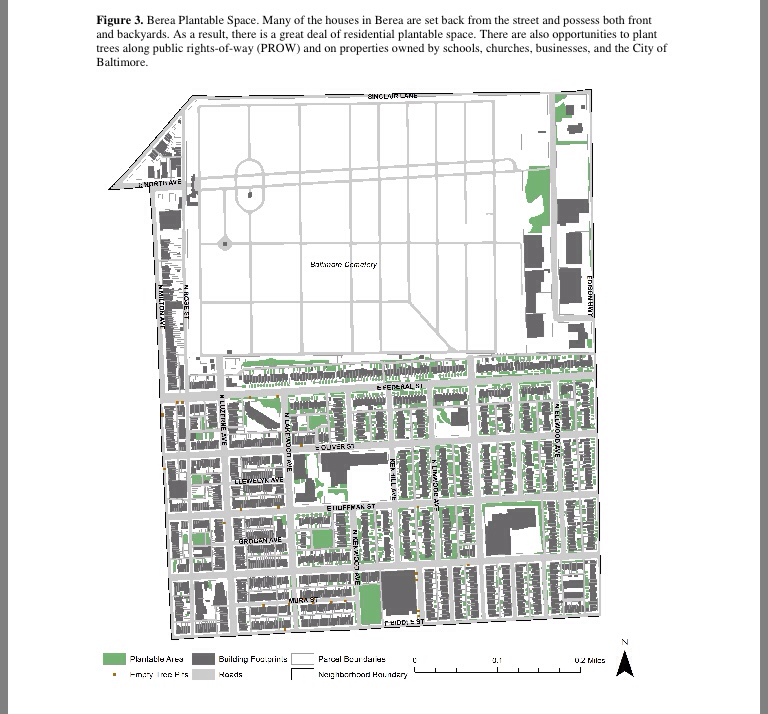 The Consulting Group at SavATree provides project coordination support to the US Forest Service Northern Research Station, lead agency in the Baltimore Urban Waters Partnership. Michael Galvin comes to SavATree with a wealth of experience gained over the course of a 25 year career in arboriculture that includes 13 years with the Maryland Department of Natural Resources. In this role he spearheaded programs to provide technical and financial assistance for urban forestry in the Chesapeake Bay region.